Again the dark red stone. No inscription, just ornamentation. 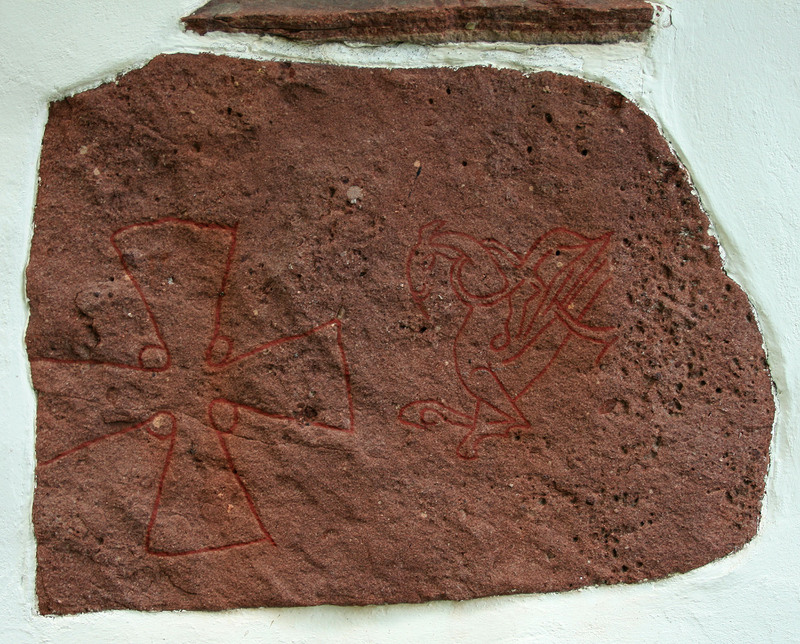 The red line just above it is actually Runestone U27 set as a windowsill that I didn’t recognize as a stone. It had only ornamental carvings, no runes as well.